For June, which is Acne Awareness month, our board certified dermatologist, Dr. Deborah H. Atkin, is explaining how to address blemishes at home and with the latest minimally invasive office treatments. In our first blog, she discussed the different types of acne. In this one she covers the most effective therapies. 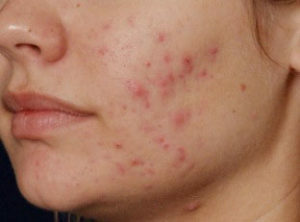 There are many in-office treatment options for managing your acne. Purifying or acne facials can provide deep cleansing and make manual extraction of blackheads and whiteheads easier. These can be very beneficial in the treatment and management of acne. Since active acne can also result in permanent physical scars, treatment geared toward preventing or minimizing outbreaks is especially important. In addition to acne facials, chemical peels are often used to treat acne and superficial acne scars. Peels can exfoliate the skin, help unclog pores, and reduce blackheads and whiteheads. Both peels and facials can also reduce excess sebum (oil) in the skin. With less oil, there are fewer bacteria, therefore less acne. Peels can also help to stimulate collagen remodeling that can improve the appearance of scarring. 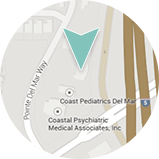 Many of the patients we see in our practice, Dermatology & Laser of Del Mar, opt for a more aggressive and non-internal treatment for acne and scarring. 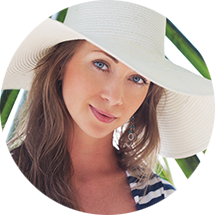 The combination therapy of Smoothbeam™ and VBeam Perfecta® lasers provides an excellent treatment option for many men and women affected with this unsightly skin condition. The Smoothbeam™ laser can decrease oil production, preventing pores from clogging and reducing P. acne bacteria (Propionibacterium). It can also stimulate collagen remodeling that will tighten pores and decrease depressed scarring. 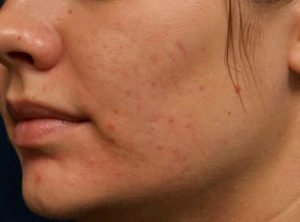 The VBeam Perfecta® laser works to reduce red, inflamed acne lesions and assists in destroying P. acne bacteria. It’s also designed to address red or mottled scars, diminishing their appearance. Most patients see a noticeable improved after 1-2 laser sessions, although we usually recommend 3-4 treatments. The combination of Smoothbeam™ and Vbeam Perfecta™ has shown to give a long-term remission from the breakouts.